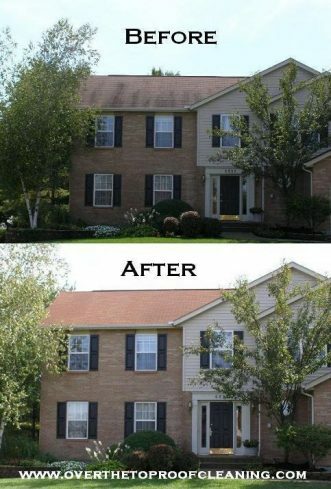 We realize that many homeowners in the Cincinnati area are not even aware that a roof can be cleaned, so we’ve put together a page of frequently asked questions where you can learn more about our service, why it’s important, and the costs involved. 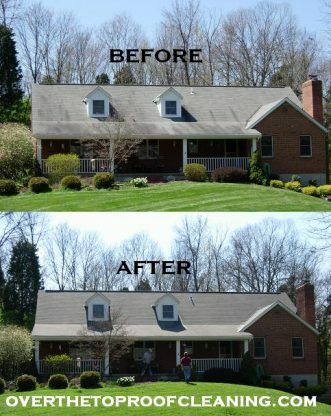 If you’re wondering how much a home’s curb appeal can be improved with a professional roof cleaning, then take a look at these before and after pictures. 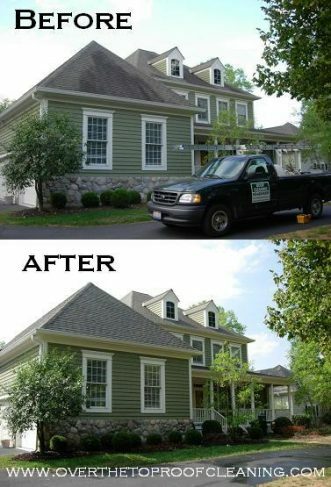 Imagine pulling into your driveway every day and seeing a beautiful, new-looking roof instead of those black streaks that are a neighborhood eyesore. Why does algae grow on roofs? 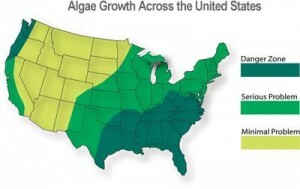 Algae is naturally in the air in most areas of the country except the very dry regions. It grows on building surfaces where it finds food (lime, paint, other) and moisture. 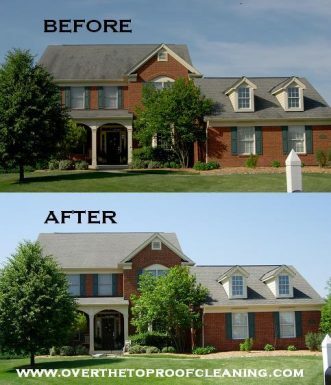 The increase in occurrence of Gloeocapsa magma algae growth on asphalt shingle roofs in the last decade or so may be due to changes in the composition of asphalt shingles: limestone added to shingles to add weight also makes the surface attractive to Gloeocapsa magma. Black algae stains may be mistaken for but are not "extractive bleeding". 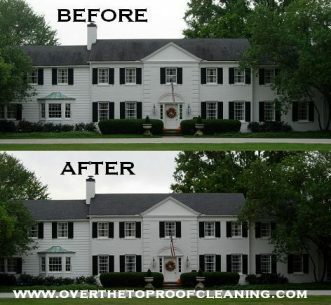 Black algae stains on asphalt shingles tend to begin at the gutter edge and grow upwards. The appearance is deceiving, leaving many to believe it grows "top down". The severity of the problem depends on the areas of the country you live in. 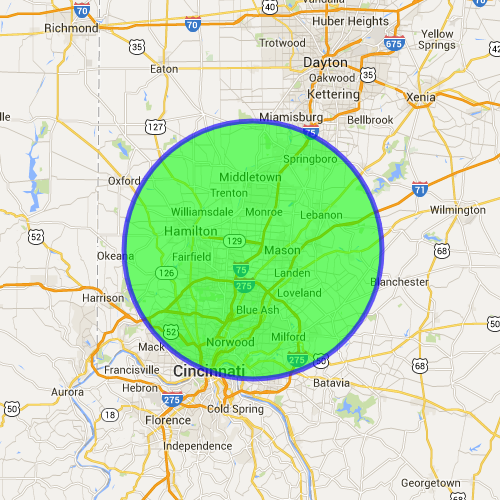 For the residents of South West Ohio, it is considered to be a moderate problem. Unfortunately the graphic is not depicting the growth but rather the speed of growth. 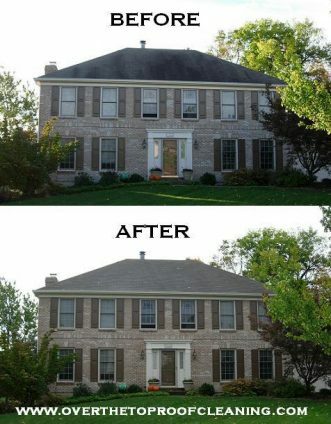 Left unattended, a roof in a moderate area will still become covered with the algae.